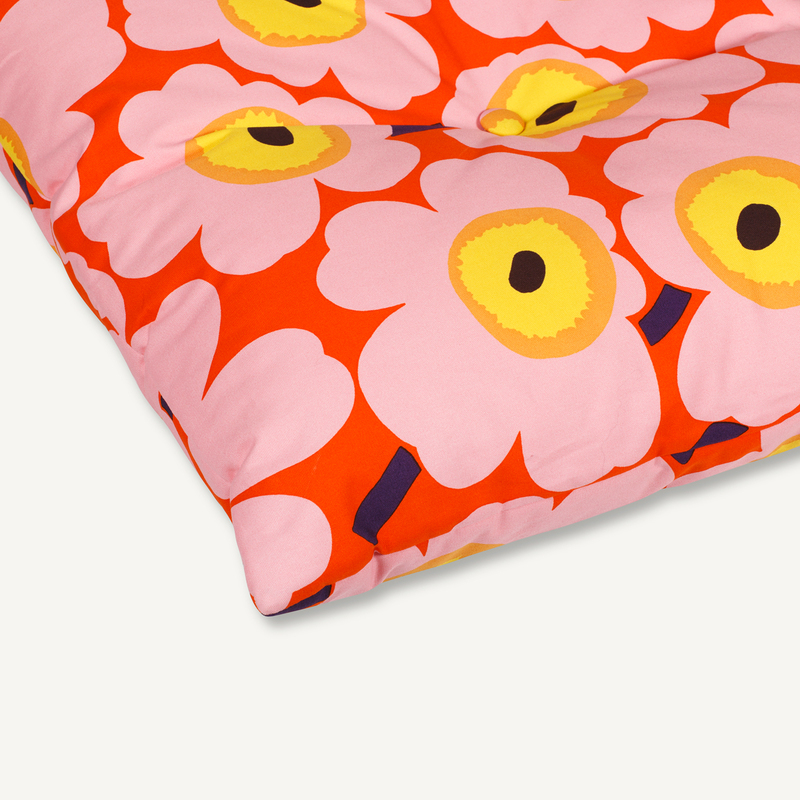 More about Marimekko Unikko Orange / Pink Floor Cushion Floor pillows are a modern way to add cozy appeal to your interior, and this large square cushion from Marimekko is just the right size. Just over 2' x 2', this large square is filled with padding and has a middle button to give it an attractive shape and supportive comfort. It makes comfy and casual seating for extra guests at social gatherings or as part of your everyday reading or meditating routine. 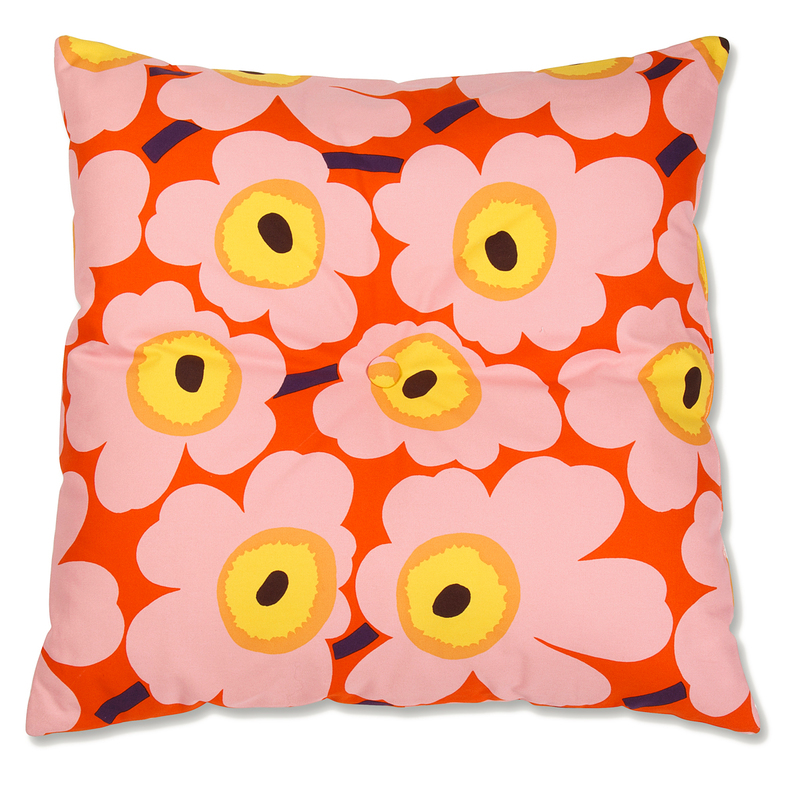 Maija Isola's timeless Unikko (Poppy) pattern is warm and sunny in shades of orange, pink, and yellow. 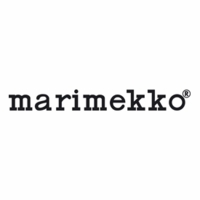 MATERIAL: 100% Cotton Canvas Exterior. Polyurethane padding.